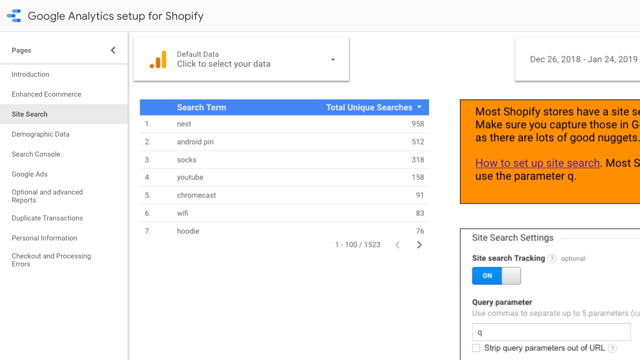 How can you tell if Google Analytics is working properly for your Shopify store? While Shopify makes it very easy to get started, there are a few settings that are not enabled out of the box. To double check your Google Analytics and to highlight some potential issues, we created a Data Studio report for you to make this process very easy. Access the report or click the thumbnail above to get started. You’ll need to login to the same account you use for Google Analytics. Please note that no data is sent to Analytics Buddy.